Reviewed by Alex, age 10. 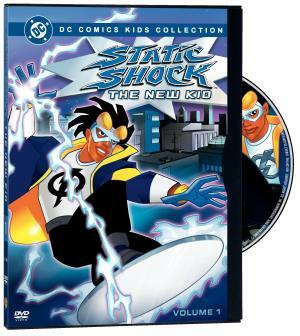 StaticShock: The New Kid has a lot of “shocking” action in an American attempt at a manga style story about a kid that gets super powers. Like Japanese manga, there is maybe too much violence for some but I liked it. Parts are funny and the effects are beautiful. Funky music and good graphics, though the characters are drawn by American artists and are not as attractive as the Japanese manga heroes are. Click Here to Watch a Clip!